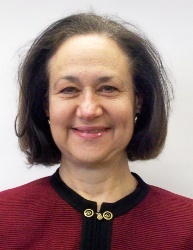 Dr. Karen Hudes is an international lawyer and development economist whose practice focuses on financing of development projects, judicial and legal reform, nonprofit organizations, corporate law and dispute resolution. Dr. Hudes has extensive experience as counsel at the World Bank, U.S. Export Import Bank, and in private practice on project financing, design, implementation and evaluation. She has managed judicial reform and legal reform projects in the Middle East, East Asia, Latin American and Africa Regions. She has coordinated projects with bilateral and multilateral donor agencies, including global partnerships between the World Bank and the Bill and Melinda Gates Foundation, Rotary International, World Health Organization, and UNICEF. Dr. Hudes has many corporate and non-profit clients, and also assists in the resolution of labor disputes with international organizations. Dr. Hudes advises corporate clients on financing, mergers and acquisitions, securities law, international licensing, negotiated purchase agreements, commercial contracts, and secured transactions. Dr. Hudes lectures frequently on international rule of law and development and received awards for her outstanding achievements. Dr. Hudes is fluent in French and Dutch as well as her native English. Dr. Hudes is currently managing the IMPOWR project of the American Bar Association and engages in various consulting assignments. Dr. Hudes' professional publications, conference papers and executive training manuals are published and used in the USA, England, France, Germany, Holland, Jordan, and Yemen. Admitted to practice in New York and District of Columbia.